NASHVILLE, Tenn.—December 12th, 2018—Award-winning Gaither Music Group recording artists The Martins and The Isaacs each garnered a 2019 GRAMMY® nod last week forBest Roots Gospel Album, according to Friday’s announcement of nominations by The Recording Academy. Two of the most recognized groups on the Gaither HOMECOMING Video Series, these two families’ impeccable harmonies have transcended musical stylings and graced platforms around the world for decades. 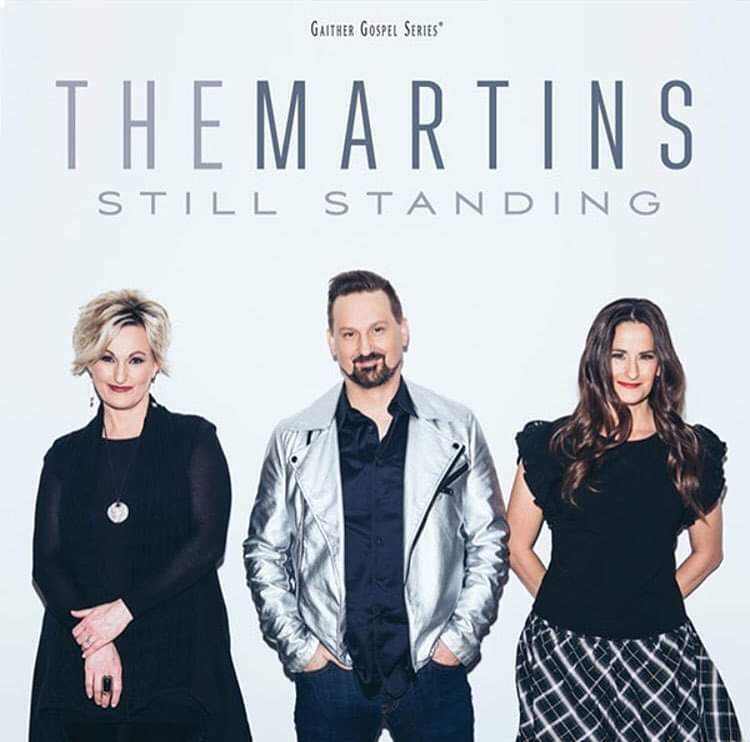 Siblings Judy Martin Hess, Joyce Martin Sanders and Jonathan Martin–collectively known as The Martins–were honored for their 2018 recording Still Standing. Produced by award-winning singer/musician/producer and fellow 2019 nominee Gordon Mote, the 11-song release finds the group continuing to explore musically while maintaining the unmistakable, three-part harmonies that have taken them from the stages of Carnegie Hall to the White House. 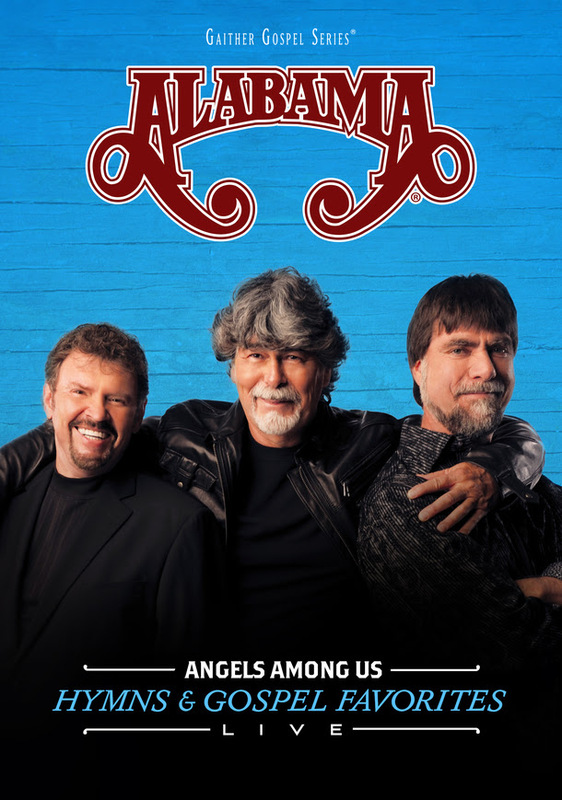 The trio’s unprecedented blends have defied musical boundaries and garnered two previous GRAMMY® nominations and eight GMA DOVE Awards and made them a household name among Christian music enthusiasts. Singing together runs in the family at the home of The Isaacs, one of gospel music’s most respected and awarded artists. Siblings Sonya Isaacs Yeary, Becky Isaacs Bowman and Ben Isaacs, along with their mother, Lily Isaacs, have been honored for their current recording Favorites: Revisited by Request, a re-recording of some of their classic hits and most-requested songs. The release features the intricate, family harmonies that have made them a fan favorite among gospel, bluegrass, folk and country music lovers and led them to performances on some of the world’s most-celebrated stages. In addition to their own accolades, they have performed and recorded with such legends as Dolly Parton, Reba McEntire, Trace Adkins, Brad Paisley, Paul Simon, Vince Gill, Merle Haggard, Randy Owen, Trisha Yearwood, Ralph Stanley, Mark Lowry and many more. 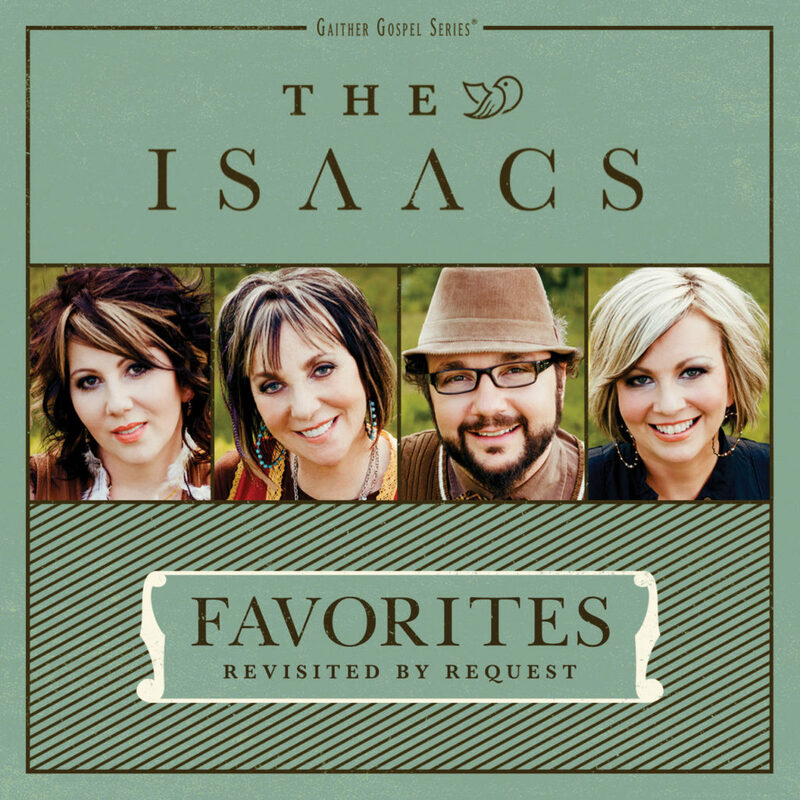 The Isaacs and The Martins are seen regularly on numerous TV networks including Dish TV, DIRECTV, AT&T U-verse, PBS, GaitherTV, TBN, FamilyNet, CTN, GMTN, Guardian, Liberty, RFD, TCT and TLN. The campaign will also air in Canada on Vision TV, The Miracle Channel, Grace TV and CTS. Favorites: Revisited by Request and Still Standing are distributed through Capitol Christian Distribution and Universal Music and are available throughout general market stores and the Christian marketplace in addition to online retailers including iTunes, Amazon andwww.gaither.com. To keep up with the latest happenings with The Martins, visitwww.martinsonline.com, connect with them at facebook.com/martinsonline or follow them on Twitter: @martinsonline. For further information regarding The Isaacs, visit www.theisaacs.com orhttps://www.facebook.com/TheIsaacs/. For further information, please visit www.gaither.com or connect on Facebook at www.facebook.com/gaithermusic or on Twitter: @gaithermusic. The 61st Annual GRAMMY® Awards ceremony will be held on February 10, 2019, at Staples Center, Los Angeles. The ceremony will recognize the best recordings, compositions, and artists of the eligibility year, which ran from October 1, 2017, to September 30, 2018. THE MARTINS, who grew up in Hamburg, AR, began singing when their mother gathered them around the piano in their rural home and taught them to sing a cappella. With four number one singles and four top ten singles in multiple Christian music formats, eight GMA DOVE Awards and three GRAMMY® nominations, the trio of siblings has come a long way from that family living room having made appearances at The White House, “The Grand Ole Opry,” the Ryman Auditorium, Dollywood, “The 700 Club,” TBN, the National Religious Broadcasters Convention, the Southern Baptist Convention and the National Quartet Convention. They are seen regularly on the Gaither HOMECOMING Video Series and concerts and have toured worldwide alongside some of Christian music’s most respected artists. 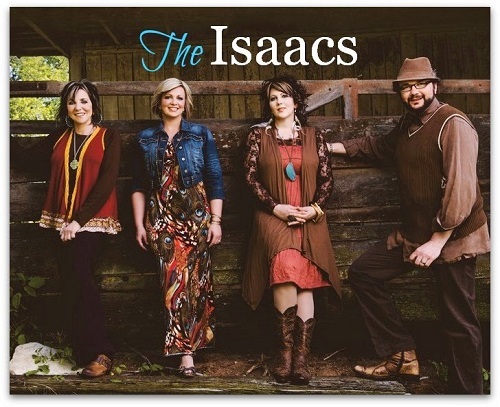 The Isaacs is a multi-award-winning family group that blends tight, family harmony with contemporary acoustic instrumentation, winning the praise of critics and the loyalty of audiences all over the world. The group, known for their hair-raising blends, perform frequently at The Grand Ole Opry and are favorites on the Gaither Homecoming Video and Concert Series. The group has received honors and nominations from organizations ranging from the International Bluegrass Music Association (IBMA) and the Inspirational Country Music Awards (ICMAs) to The Singing News Fan Awards and the GMA DOVE Awards. They have performed with legendary performers such as Dolly Parton, Reba McEntire, Trace Adkins, Brad Paisley, Paul Simon, Vince Gill, Merle Haggard, Randy Owen, Trisha Yearwood, Ralph Stanley, Mark Lowry and many more. NASHVILLE, Tenn–October 15th, 2015—The Gaither Music Group roster of artists took home three 2015 GMA DOVE Awards during Tuesday night’s ceremony held at Allen Arena at Lipscomb University in Nashville, Tennessee. The group’s founder and bass singer, gospel music legend Bill Gaither joined Christian music artist Matt Maher for the awards program to perform “Because He Lives (Amen).” Penned by Chris Tomlin, Daniel Carson, Ed Cash, Gloria Gaither, Jason Ingram, Matt Maher and Bill Gaither, the song was awarded Praise and Worship Song of the Year. Also nominated for a 2015 GRAMMY® Award, the Gaither Vocal Band has garnered five GRAMMY® nominations, two GRAMMY® Awards and 18 GMA DOVE Awards to date. Country music icons and Gospel Music Hall of Famers The Oak Ridge Boys took home the award for Country Song of the Year for their recent country single, “Sweet Jesus,” an original song penned for them by country music star Merle Haggard, who joined the group for the recording of the song. 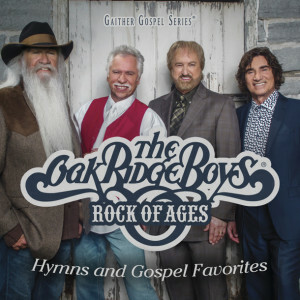 The award-winning tune is a part of the group’s Rock of Ages, Hymns and Gospel Favorites recording, a 15-song project produced by Ben Isaacs and group member Duane Allen. The Oak Ridge Boys were inducted into the Gospel Music Hall of Fame in 2000, and they have garnered ten GMA DOVE Awards and five GRAMMY® Awards. 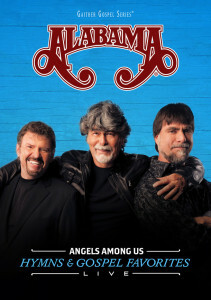 Country music legends Alabama received the 2015 DOVE Award for Bluegrass/Country Album of the Year for Angels Among Us, Hymns & Gospel Favorites, produced by group members Jeff Cook, Teddy Gentry and Randy Owen. This marked the band’s first DOVE Award and 178th career award. 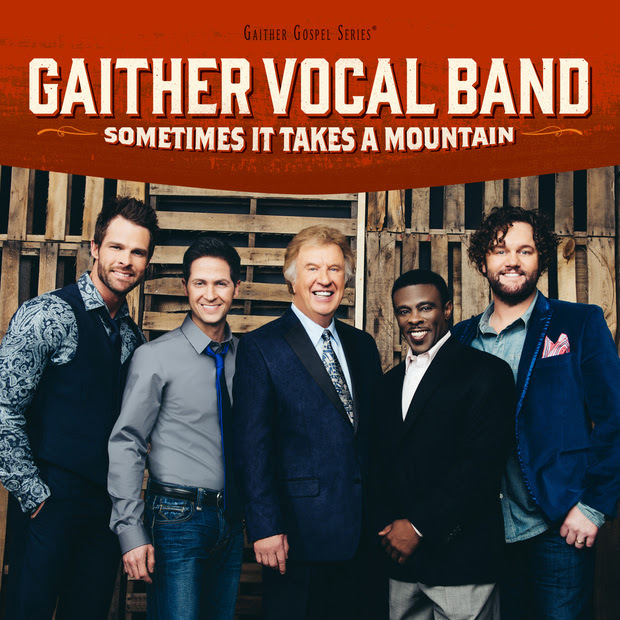 The release, along with its DVD companion featuring behind-the-scenes interviews with Gaither, have been seen on 15 TV networks including PBS, RFD, TBN, DirecTV, DISH TV and AT&T U-verse. These two-time GRAMMY® Award winners have sold more than 73 million albums and singles and achieved 43 No. 1 songs, and they are members of the Country Music Hall of Fame. GRAMMY®-nominated and multi-DOVE Award-winning family trio The Martins (Joyce Martin Sanders, Jonathan Martin and Judy Martin Hess) performed a cappella alongside singer/songwriter/comedian Mark Lowry. The packed audience rose to its feet following their unique rendition of “When I Survey the Wondrous Cross” found on Lowry’s new solo recording How We Love (Spring Hill Music). 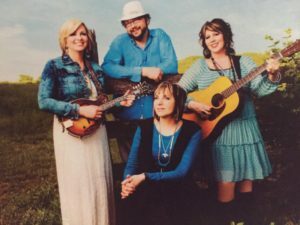 The Martins have garnered four number one singles and four top ten singles in multiple Christian music formats in addition to eight GMA DOVE Awards. 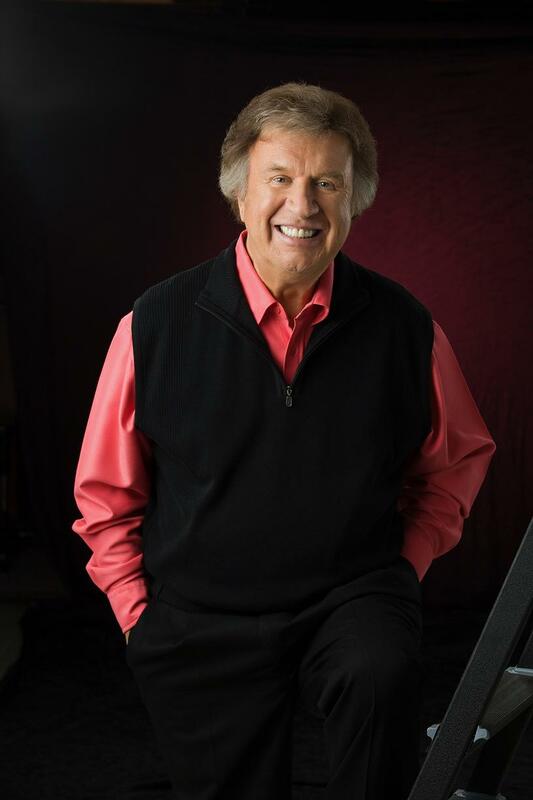 A GRAMMY® and GMA DOVE Award winner, Lowry was inducted this year into the Gospel Music Hall of Fame. The award-winning Isaacs (Sonya Isaacs Yeary, Rebecca Isaacs Bowman, Ben Isaacs and Lily Isaacs) gave a special performance alongside contemporary Gospel singer Erica Campbell, who co-hosted this year’s ceremony. The family formed an acoustic band around Campbell and added background vocals to her hit “A Little More Jesus,” creating a riveting performance that ignited the crowd. Gaither Music Group projects are exclusively distributed by Capitol Christian Distribution and Universal Music. 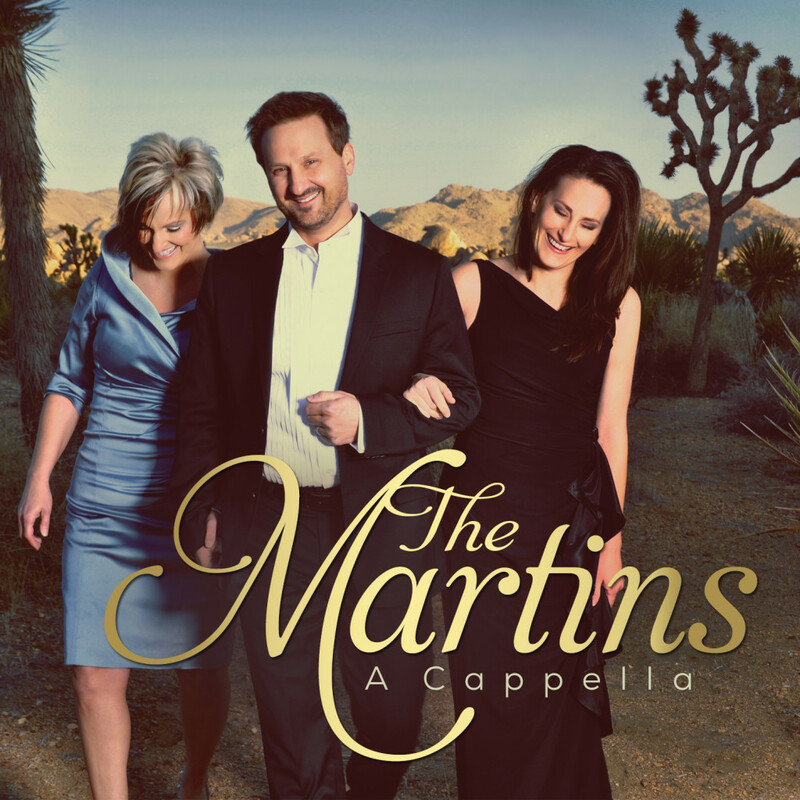 NASHVILLE, Tenn.— The award-winning Martins were honored to receive a GRAMMY® nomination last Friday for A Cappella (Gaither Music Group) for Best Roots Gospel Album, which will be awarded at the 57th GRAMMY® Awards, to be held on Sunday, February 8, 2015, at the Staples Center in Los Angeles, CA. Produced by an all-star team of Michael English, Lari Goss, David Phelps and Matthew Holt, A Cappella marked the lauded trio’s first all-new, a cappella recording in more than a decade—a recording that debuted at #2 on the Southern Gospel chart and landed at #17 on the Contemporary Christian Music chart according to Nielsen Soundscan. The project combines hymns the group has known since their childhoods (“Fairest Lord Jesus,” “Praise to the Lord”) and old “spirituals” (“When I Go Away”) with pop crossover songs (“You’ll Never Walk Alone,” “The Prayer”) and even a little “Bob Marley style” mixed into an arrangement (“Three Little Birds”). It showcases Joyce, Jonathan and Judy’s impeccable blends and heralded abilities to transcend musical styles, appease their fan base and weave in some of their personal favorites. A Cappella has received prime placement in retail outlets and continues to air as part of a special TV offer on Dish TV, DirecTV, AT&T Uverse, GaitherTV, TBN, RFD, FamilyNet, CTN, GMC, GMTN, Guardian, Liberty, TCT and TLN. It will also air in Canada on Vision TV, CTS, The Miracle Channel and Hope TV. In addition to their own concert appearances, the trio is currently hitting stages alongside singer/songwriter/comedian Mark Lowry on the Music and Madness Tour. Additionally, they are featured on select Gaither concerts including the Gaither Christmas HOMECOMING Tour. 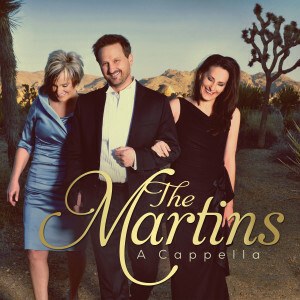 A Cappella, exclusively distributed by Capitol Christian Distribution, is available throughout general market stores and the Christian marketplace in addition to online retailers worldwide including iTunes, Amazon and www.gaither.com and www.martinsonline.com. Media interested in obtaining a complete digital press kit, including downloadable mp3 files of interview clips and songs included on the recording, may visit www.martinsonline.com. To keep up with the latest happenings with The Martins, visit www.martinsonline.com, connect with them at facebook.com/martinsonline or follow them on Twitter: @martinsonline. The Martins are the guests on Gospel Music Today for the week of October 12. Ken and Jean Grady host southern gospel news and concert updates. The Feature Group is The Lunas, and Jean reviews a new recording by New Road. An article by Pat Barker entitled “Where Are They Now?” is the subject of this week’s Singing News Notes. 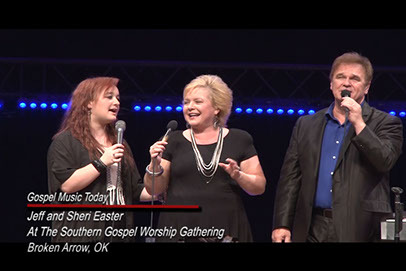 The show features singing by Three Bridges, exclusive video of Jeff and Sheri Easter, recorded by Gospel Music Today’s cameras at the Southern Gospel Worship Gathering, in Broken Arrow, OK, and a visit to the Gospel Music Today Archives for an exclusive concert video of The Lesters at the Southern Gospel Worship Gathering, in Broken Arrow, OK, including an exciting interview with Brian Lester and Gene Reasoner. In the news headlines this week are The Kingsmen, Karen Peck, Bev McCann, the Steeles, Paul Heil, Eddie Crook and Claude Hopper. NASHVILLE, Tenn.-June 5th, 2014 – Popular GRAMMY®-nominated and eight-time GMA DOVE Award-winning recording artists The Martins are celebrating their all-NEW release, A Cappella which debuted at #2 on the Southern Gospel chart this week and landed at #17 on the Contemporary Christian Music chart according to Nielsen Soundscan. It has been nearly two decades since The Martins released their first a cappella CD; and as the multi-talented group celebrates the release of their latest A Cappella recording, which has received glowing reviews, the family sat down with radio host Daniel Britt to discuss the new endeavor. The Martins will be featured on the next two broadcasts of SirusXM’s “Daniel Britt & Friends” during the weeks of June 16th and June 23rd. These broadcasts will feature an intimate interview with Joyce, Jonathan and Judy, who talk about the making of the recording, allowing listeners the opportunity to catch up on the latest happenings with The Martins. The one-hour program will air three different times over the next two weeks on SiriusXM Radio. The trio will be featured at 7pm (eastern) on Monday, June 16th & 23rd, as well as at 10pm (eastern) on Thursday, June 19th & 26th, and at 12 noon (eastern) on Saturday, June 21st and June 28th. A Cappella, from Gaither Music Group, has been much anticipated from these siblings recognized throughout Christian music for their intense family harmonies and a cappella masterpieces. Distributed by Capitol Christian Distribution, the release is available now at retail and digital outlets worldwide including iTunes, Amazon and www.gaither.com and www.martinsline.com. Tune into “Daniel Britt & Friends” during the weeks of June 16th & 23rd to hear the very latest from The Martins. Connect with The Martins at www.martinsonline.com; visit them at facebook.com/martinsonline; or follow them on Twitter: @martinsonline. Jason Crabb hosts Harmony Honors featuring the Bowling Family, Triumphant Quartet, Martins, Karen Peck & New River, Legacy Five, Nelons, Jeff & Sheri Easter, and The Hoppers. Harmony Honors will be held on Monday, July 18 at 7:00 at TBN 1 Music Village BLVD Hendersonville, TN 37075. Admission is free.